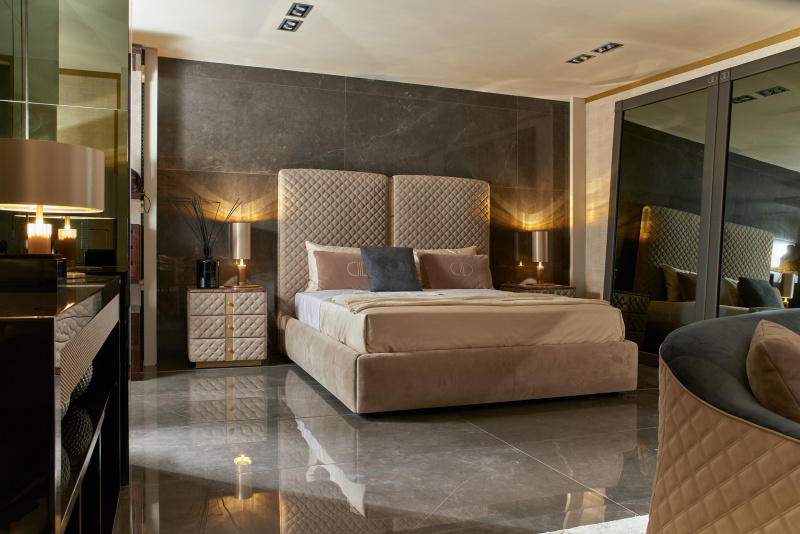 The use of tiles as wallcovering dates back to ancient times and is still today applied in modern buildings around the globe thanks to its durability, low maintenance, health benefits and endless design finishes. 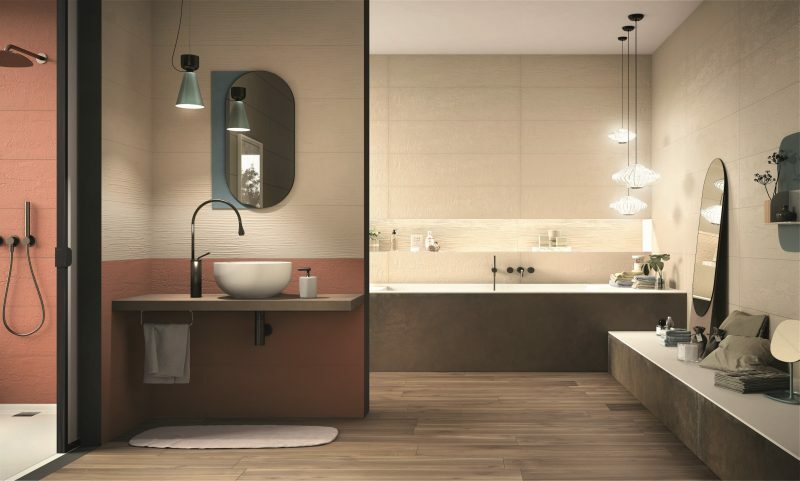 This year’s Coverings international tile and stone show, the largest in North America with more than 1 100 exhibitors, once again featured the latest design trends and technology advances. 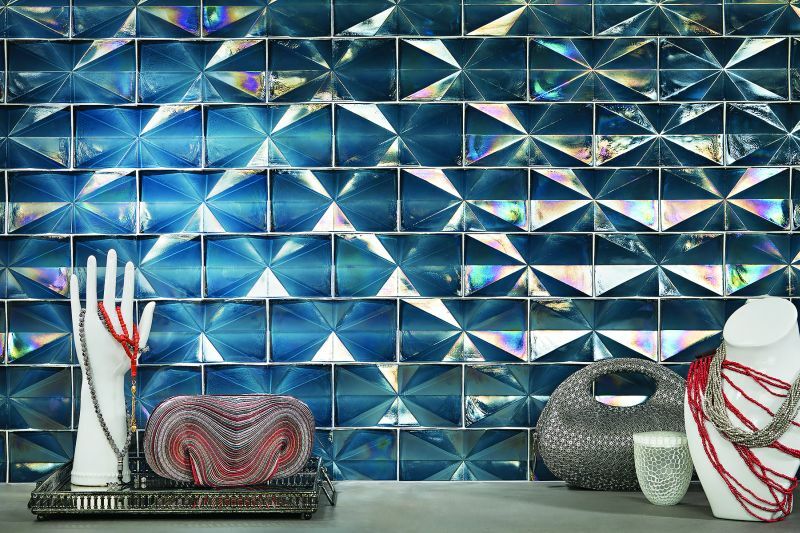 The Origami Field collection by Lunada Bay Tile is a new series of glass tiles that features distinctive shapes and prismatic effects reminiscent of the art of paper folding. The watercolours hues play with light and shadow. ABK’s Lab32 collection explores combinations of concrete and metal for a contemporary industrial look. 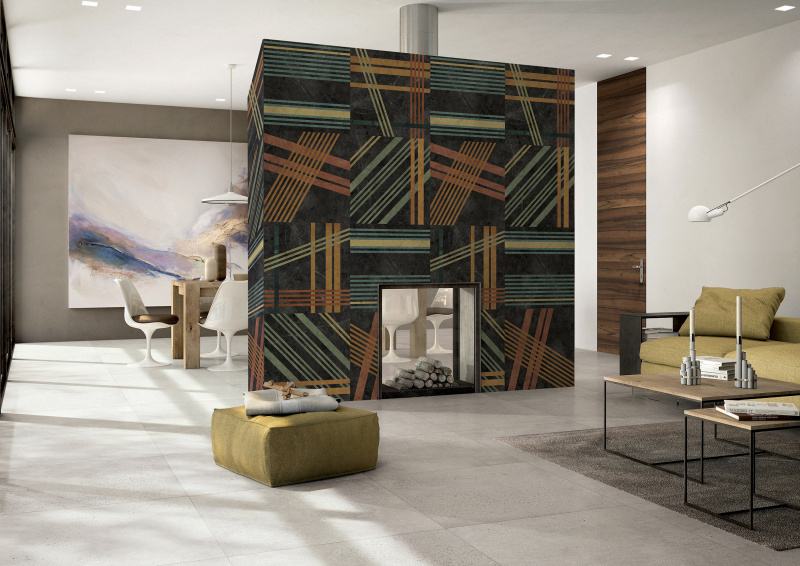 Designers can playfully experiment with ABK’s Wide & Style collection of geometric, floral and patterns reminding of adult colouring books on large-size tiles. 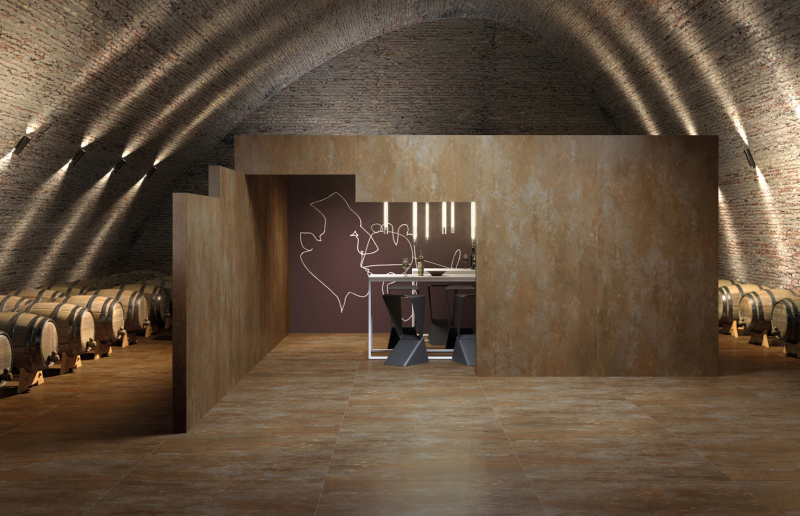 Presented as a “second skin” for contemporary architecture, Fincibec’s Titan range imitates the strength and look of iconic materials such as Corten. 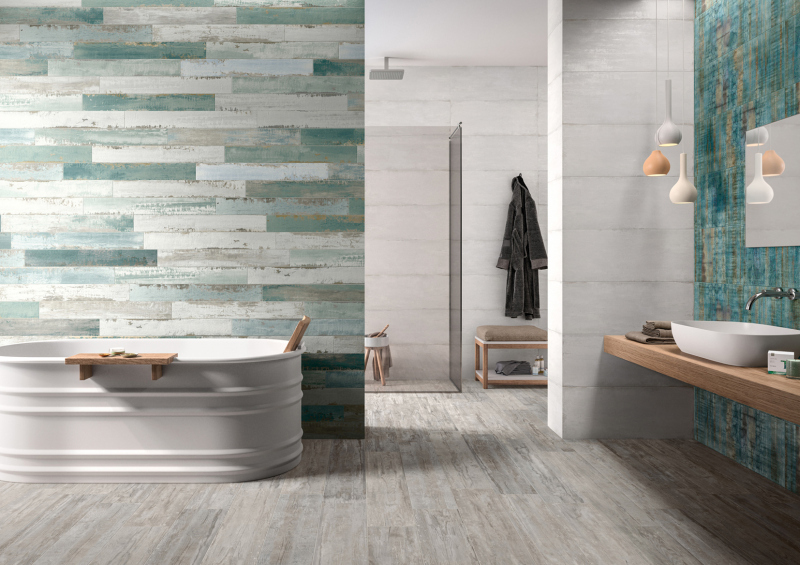 Still a recurring trend in interior design, the charm of used materials such as weathered wood is recreated in Fincibec’s Naxos Flair collection, paying attention to detail such as small scratches, chips and colour variations on each slab. 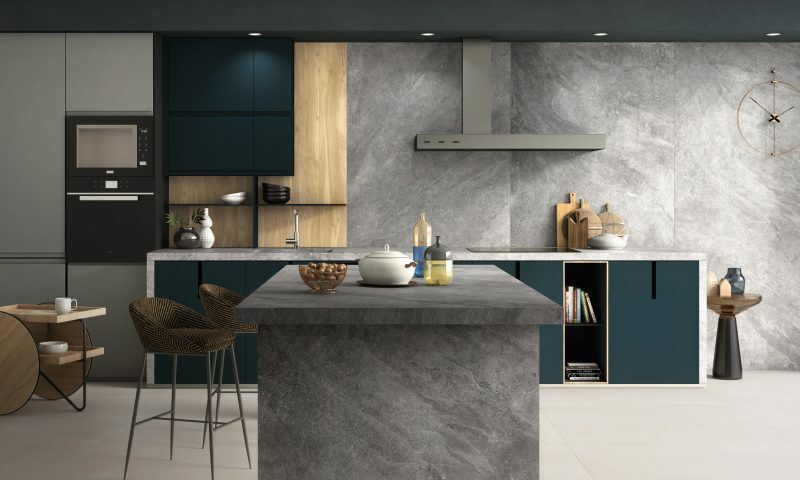 The grandeur of marble is interpreted through original material effects in Cercom’s To Be collection with a natural, classic finish, or alternatively, a mirror or matt satin finish. Sizes vary from mosaics to large sheets. 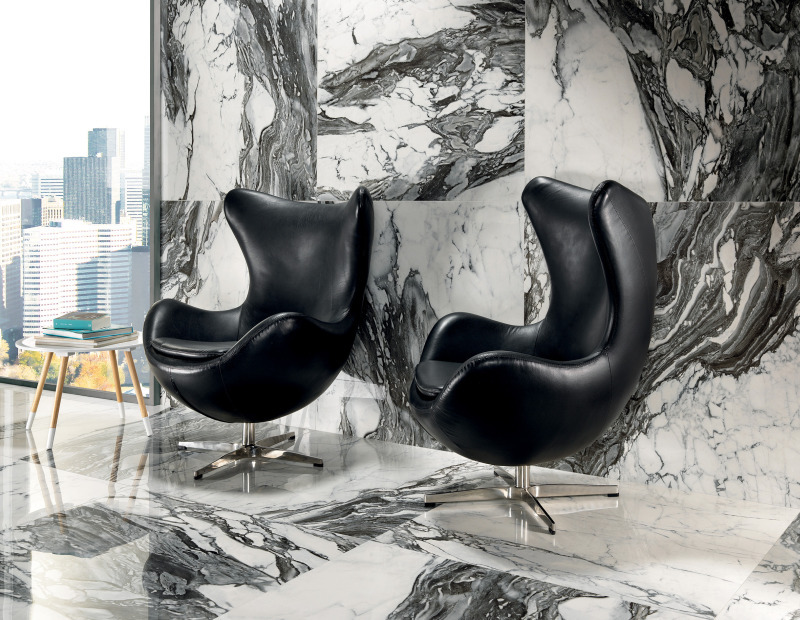 Serenissima’s Magistra collection rediscovers the fineness of antiqued marble for noble and elegant interiors. 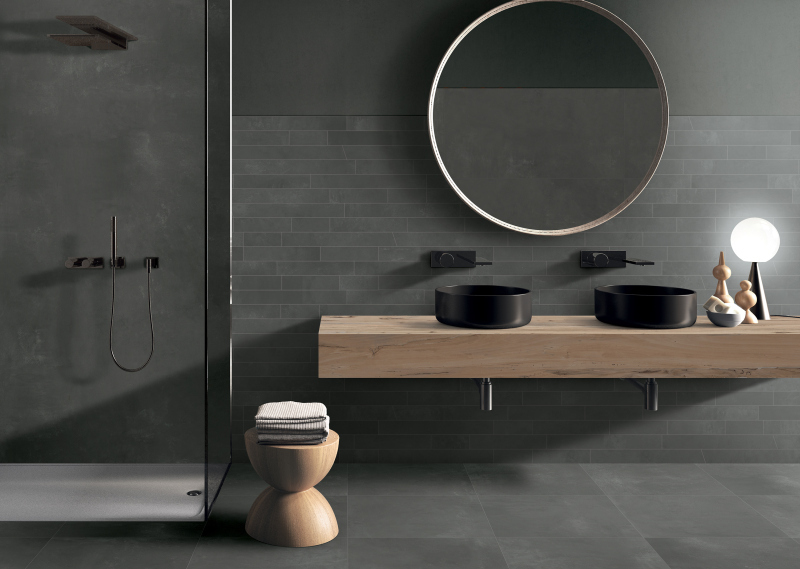 Inspired by the industrial concrete look, the marks of the natural concrete aging process are preserved through 3D technology in Flaviker’s Hyper collection. 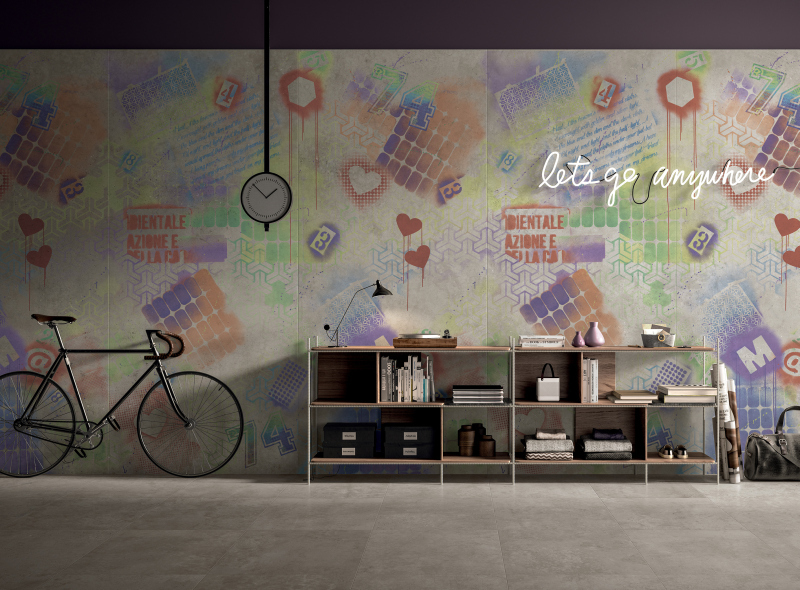 Developed in collaboration with tattoo and visual artist, Tiziano Colella, Flaviker’s Hyper collection included a series of decorated panels inspired by the visual language of street art. 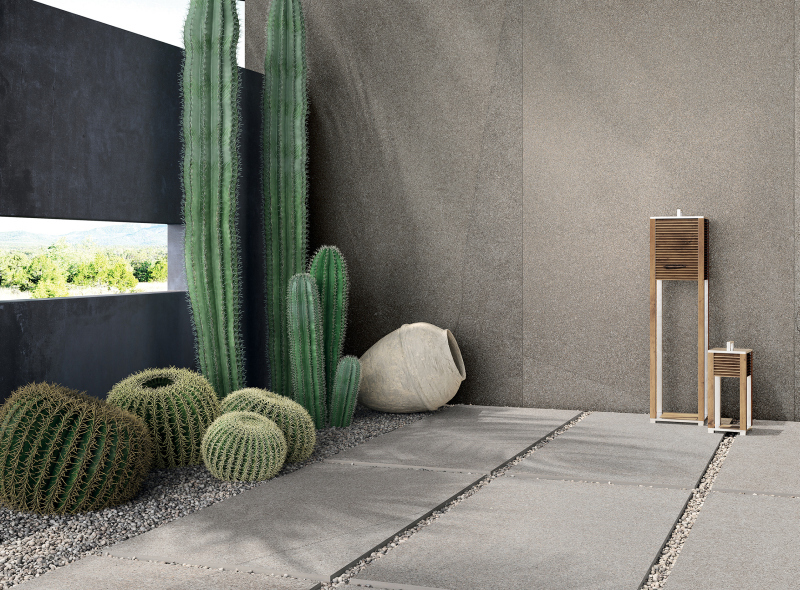 Reinterpreting the original terrazzo floors, Flaviker’s River collection contains elegant micro pebbles with 3D effects. Skilfully designed, long, thin cracks suggest wear and tear over time and create a sense of movement in the homogenous surface. The unique personality of vintage leather is captured in Ariana’s new Worn collection, and with a colour palette that ranges from industrial tones to multi-coloured accents, it makes for visually striking, eclectic combinations. 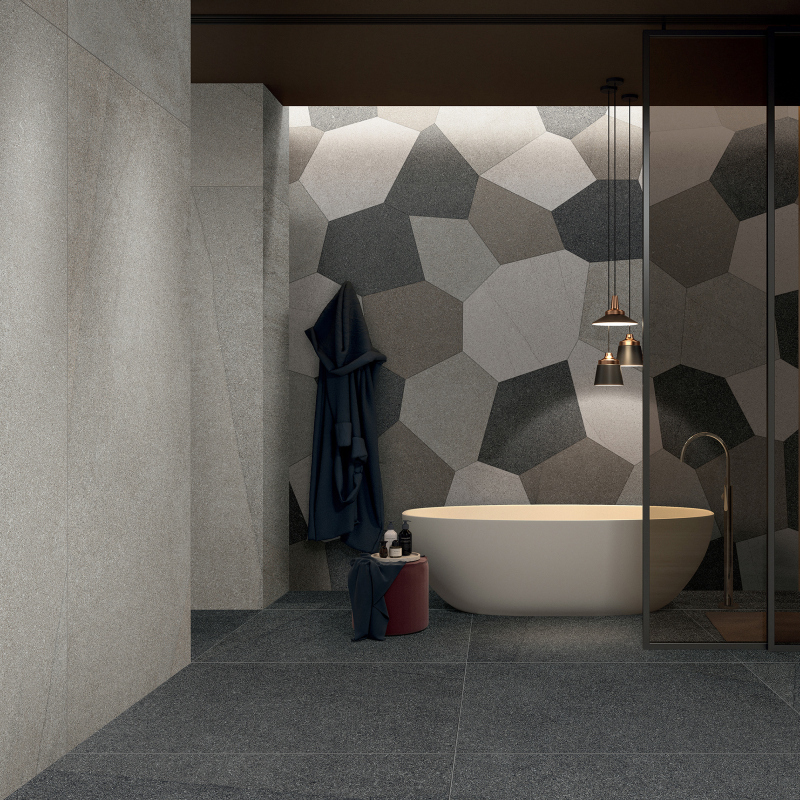 Ariana’s Mineral collection presents a natural stone look for both indoors and outside, simulating the material’s natural unevenness on the smooth ceramic surface. Full thanks and acknowledgement are given to Coverings, ABK, Ariana, Cercom, CIR, Fincibec, Flaviker, Lunada Bay Tile and Serenissima for the information and photos provided. For more international updates like these, subscribe to our free magazine on www.freemagazines.co.za. 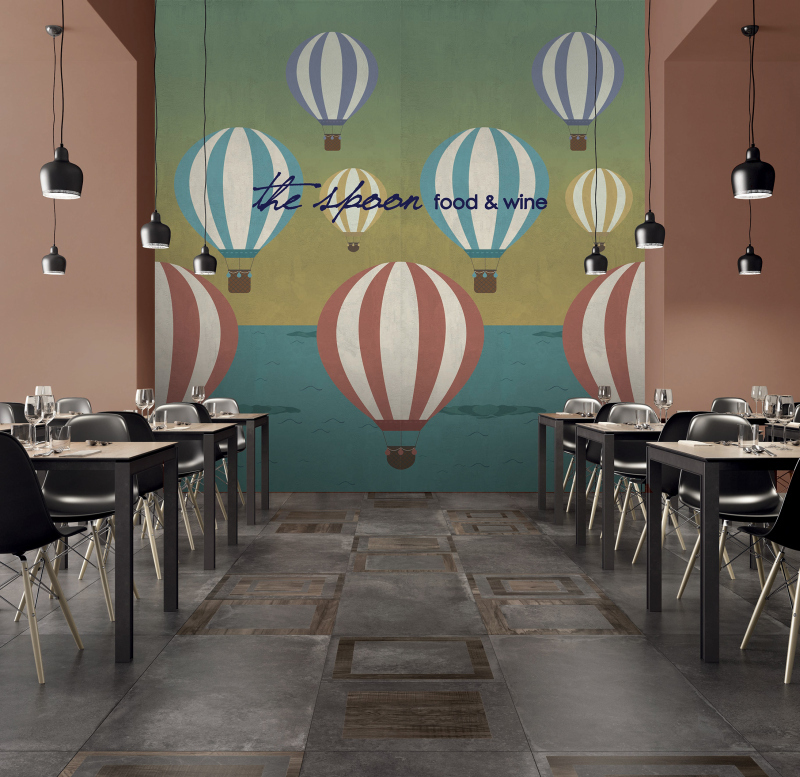 Sign up for our newsletter: http://www.buildinganddecor.co.za/register/. Or join other discussions on http://www.facebook.com/buildinganddecor, http://www.twitter.com/buildingdecor and https://www.linkedin.com/showcase/10172797/.